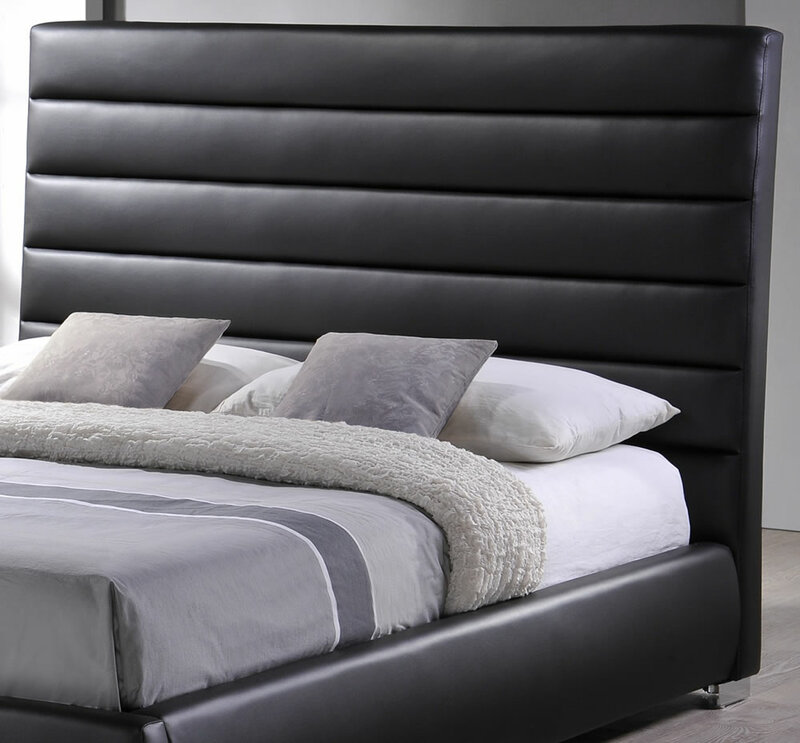 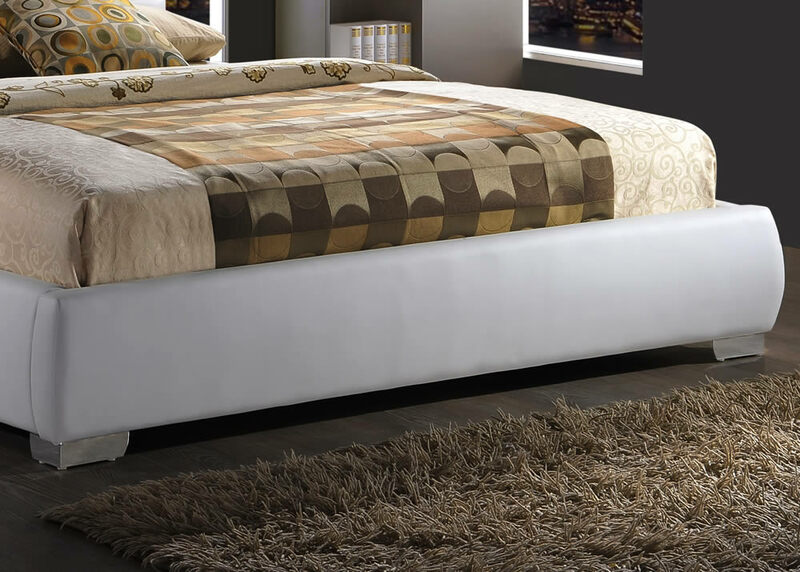 The Time Living Chessington faux leather bed features a high headboard, chrome feet and is available in a choice of white or black faux leather finishes, and small double, double and king sizes. 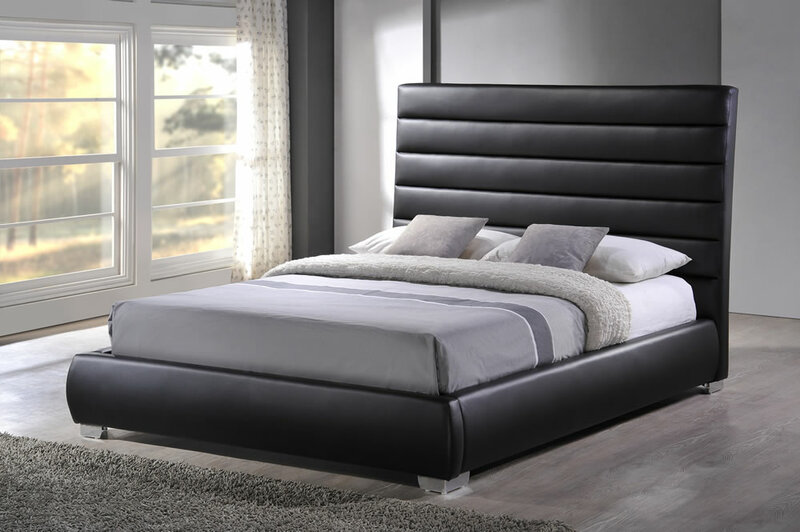 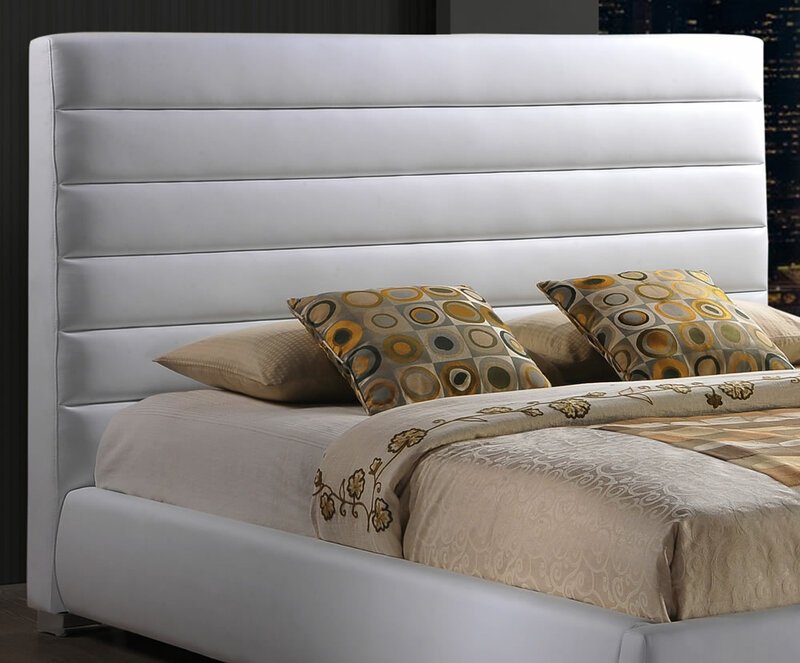 Upholstered in high quality soft faux leather with a tall padded headboard and low foot end offering a contemporary modern design. 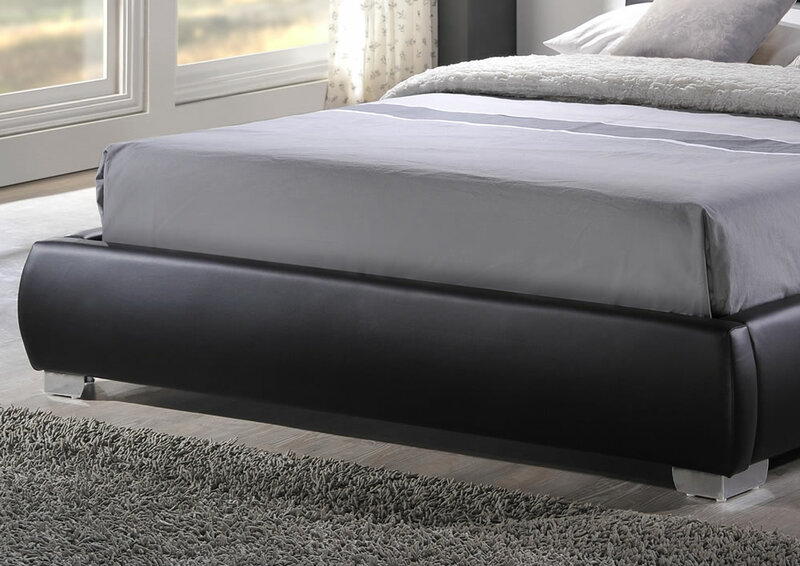 For extra comfort the Chessington bed comes with a sprung slatted base which supports standard UK size mattresses.